William Wordsworth was one of the key figures in the Romantic Movement, his early poems helping to define the new movement of Romanticism. Wordsworth sought to bring a more individualistic approach, his poetry avoided high flown language however the poetry of Wordsworth is best characterised by its strong affinity with nature and in particular the Lake District where he lived. The early nineteenth century was a time of rapid change and industrialisation, but like his contemporaries, Blake and Coleridge, Wordsworth was often dismayed by what he saw and he sought solace in the grandeur and beauty of nature. Wordsworth offered not just a beautiful picture of nature but also illustrated the healing power of nature on the spirit of man. In this poem My Heart Leaps Up, Wordsworth also uses another concept that becomes a theme throughout his poetry; the importance of childhood. For many of the Romantics, the memories or visions of an idyllic childhood become a powerful emotive force as they aspired for life of greater harmony and simplicity. 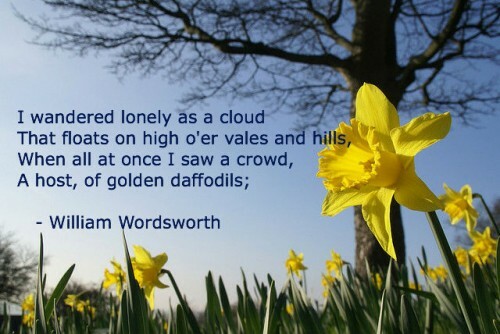 However Wordsworth’s life was on many occasions touched by tragedy. His sorrows and awareness of humanity’s varied sufferings inevitably led to passages where the beauty of nature contrasted with the fate of man. In this poem Wordsworth suggests that man’s inhumanity appears even darker when compared to the pristine beauty and purity of nature that Wordsworth moved through. 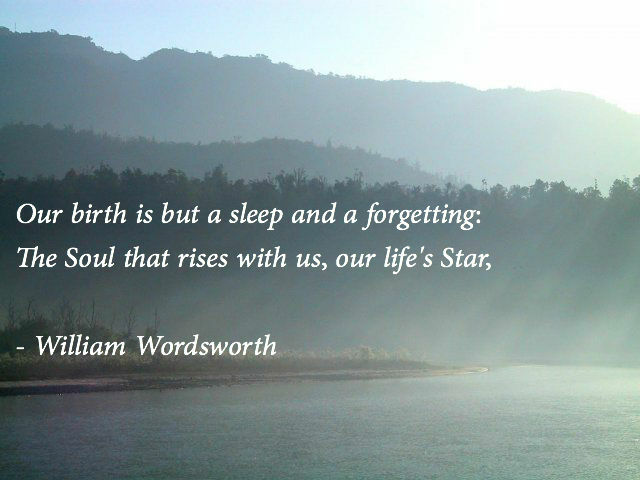 Especially in his early years Wordsworth was a genuinely radical poet, perhaps influenced to some extent by the American and French Revolution and the new ideas of democracy sweeping the world. (For some time he lived in France but had to leave when the revolution made it dangerous) His poem London 1802 is a strong advocacy for social change. 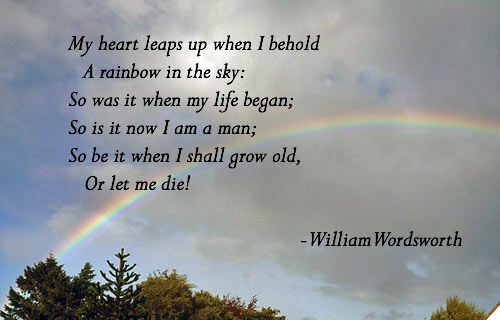 These sentiments were shared by other contemporaries such as Blake, although Blake and Wordsworth were mostly unknown to each other. As Wordsworth grew older he became more conservative and his poetry lost its ‘radical’ edge however he was still held in high regard and in 1848 was appointed to be Poet Laureate.